Albion’s position at the bottom of the table last season means that they have to play in the first round of the EFL Cup, while both Stoke and Swansea received a bye into the second round along with all Premier League clubs, and the Baggies have been drawn against Luton Town at the Hawthorns. 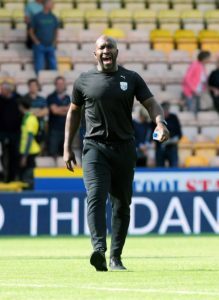 Having already played three games this season, it’s probably a game that Darren Moore’s team could’ve done without, but they will have to wait until next week for a full week off when the majority of Championship clubs will play their game in hand. Big Dave may opt to switch things around a bit, although he doesn’t exactly have a massive squad to choose from. Most of Albion’s younger defenders have gone out on loan, so he may opt to give Craig Dawson his first football of the season while Kyle Howkins is the only other defender not to see any football so far this season. In midfield, it would seem an opportune moment to give the likes of Sam Field and Oliver Burke a go from the start and he also has the options of Jonathan Leko, Rekeem Harper and, dare I say it, Nacer Chadli assuming he’s not on his way to Turkey. Up front, Kyle Edwards, who spent last year on loan at Exeter City, is the only forward player that is yet to see action this season so he may get an opportunity on the bench. However, despite Albion recording a victory at Norwich at the weekend, there is an argument to say that the first team need some more time on the pitch together to iron out some of the many flaws that the first few games have exposed. Maybe Big Dave would be better playing as strong a team as he can field for at least the first half, although perhaps one or two changes, particularly in the middle of the park, would be worth considering anyway given how much Brunt and Livermore have struggled so far. It will certainly be interesting to see how Moore handles this match. Will he opt to rest his chosen first teamers and give the fringe players an opportunity or take the opportunity to hone his first team in what should be an easier test, although that is obviously a dangerous thought to have? Personally, I would certainly play Dawson, although given Nyom’s challenges at the weekend, I’d probably put him at right back. The choice at left back may be made already depending on the nature or extent of Kieran Gibbs’ unspecified injury that forced him off at half time and, based on his performance in the second half at Carrow Road, I’d be happy to see more of Conor Townsend. I think that Field deserves a chance, and Burke obviously needs game time if we are ever going to see him fulfil his obvious potential. Up front, however, I’d like to see Gayle and Rodriguez given more time to develop an understanding as I think they could become one of the Championship’s most potent partnerships this season. The important thing, of course, is to win the game. A home defeat to a League One side that spent five years outside of the Football League a few short years ago would hardly fill the team with confidence, even if the Hatters are on the up. They won promotion last season finishing second to Accrington Stanley, having led the table for much of the season until they lost at home to Stanley thanks to an injury time goal and the Lancashire club went on to run away with the title. 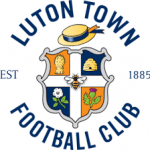 Nathan Jones’ team opened their first third tier league campaign for ten years with defeat at Portsmouth before coming from behind to claim a point against Sunderland at Kenilworth Road on Saturday. Consolidation will undoubtedly be their aim this season, but I’m sure taking the scalp of a team that was three divisions higher last season would be very welcome. Albion and Luton have been drawn together once in the League Cup previously, in the second round in 1997. That tie was over two legs with the first match at Kenilworth Road. That finished level after Bob Taylor equalised Stuart Douglas’s opener, while the Baggies were victorious in the second leg as goals from Paul Raven, Andy McDermott and a brace from Paul Peschisolido eased them to a 4-2 victory over their third tier opponents. It would be almost a decade until they met again in the Hatters’ most recent spell in the second tier. Promotion in 2005 under Mike Newell saw Luton spend two seasons in the Championship, one of which coincided with Albion and both fixtures were full of goals. In Bedfordshire in September 2006, Craig Shakespeare took caretaker charge for his first league game after the dismissal of Bryan Robson with the sides sharing four goals, Carter and Gera netting for the visitors in the only match of Shakey’s spell that he didn’t win. The last time the clubs met was at the Hawthorns the following January by which time Tony Mowbray was at the helm. The hosts ran out 3-2 winners thanks to a goal from Jason Koumas and a brace from Kevin Phillips. Albion’s record win over Luton is 4-0, a feat they have achieved on four occasions, the most recent being in September 1984 when Steve Hunt, Cyrille Regis, Nicky Cross and Garry Thompson all found the net in a Division One match. That was Cyrille’s last ever goal for Albion as he moved to Coventry City a few weeks later. The Hatters have won at the Hawthorns on just three occasions with their most recent victory at the venue being their biggest, a 2-0 win in April 1996 when Bontcho Guentchev and Kim Grant found the net. Anything other than a home win would be a little embarrassing for the Baggies.